Hello everyone, Deanna here back with another project for the Dies R Us Inspirational Blog. Here is what I have for you today. For the tree I started with a piece of watercolor card stock that I inked with Mustard Seed, Wild Honey, Rusty Hinge, and Ripe Persimmon to create a bright fall leaf color. 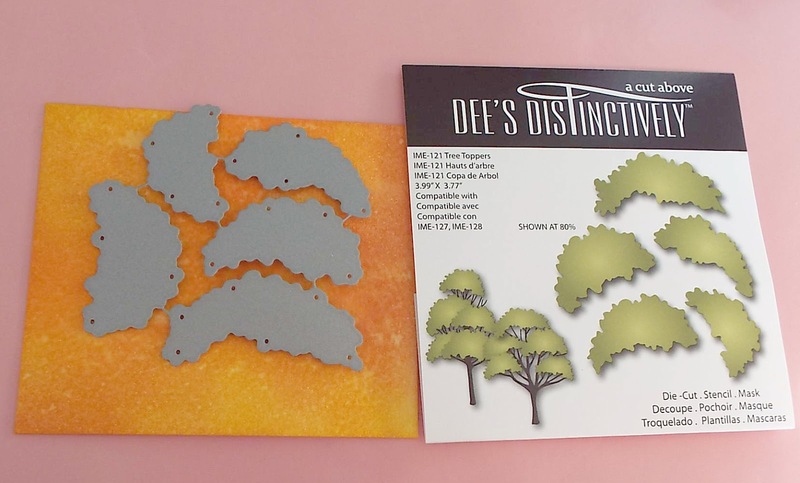 Using the Dee's Distinctively Tree Topper Die to cut out the fall "leaves" for my tree. If you don't want to use distress inks to create you card stock for your tree toppers, you can always just cut them out of some colored card stock. Next I cut out my tree trunk using the Dee's Distinctively Tree Base 1 Die and some dark brown card stock to cut the tree base. Once I had everything cut out I assembled the tree. Next I went to work on the card. The card base is Kraft card stock cut and scored to make a 4 1/4" X 5 1/2" card base. Next I added a brown mat cut at 4" X 5 1/4" and the patterned paper mat cut at 3 3/4" X 5". I layered all the mats together and added them to my card base. Next I stamped the sentiment using some Versamark Ink and some fine detail antique gold embossing powder to emboss my sentiment. I used some foam tape to add the tree to my card base, and the card was done. Wow, love these trees, love the colors and details on this beauty. Perfect for the Fall. Deanna, this is so pretty! The colors on the leaves came out fabulous! I've had my eye on this die for a while now. Your card has prompted me to add it to my cart next time. It's such a pretty tree! Beautiful card with the color of the leaves against the background colors. Striking! What a beautiful creation Deanna! Love this die (how'd I miss that one? lol) and your background is perfect! Great job! Lovely card, great tree die! Gorgeous colour combination too. I have those leaves and love them, you did a fabulous job giving them a pretty fall theme! 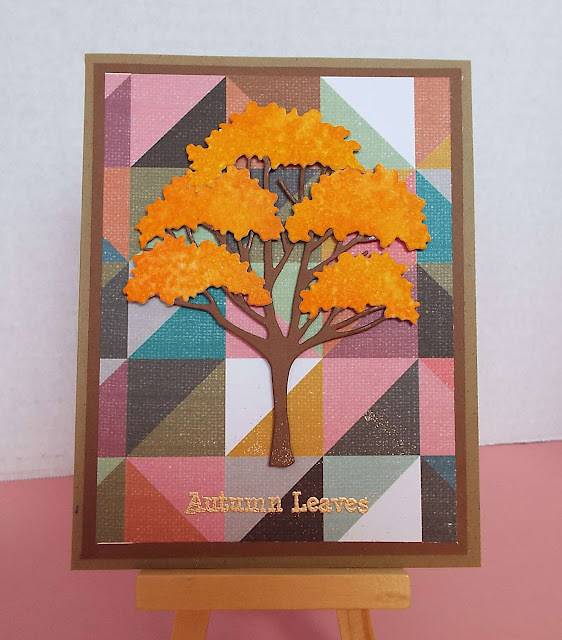 How beautiful, Deanna, to create a quilt with this autumn tree! Fantastic design idea, and it is so lovely!